Have you ever experienced vertigo (intense dizziness) or tinnitus (ringing in your ears)? People with Meniere’s disease have issues like this regularly along with a congested feeling in an ear. There is no forewarning as to when the symptoms of Meniere’s might appear. One moment all seems fine, and the next standing up safely feels impossible without falling over (termed “drop attacks”). 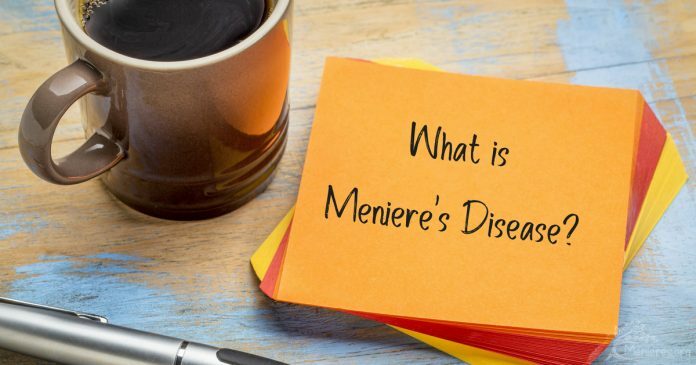 Meniere’s is relatively rare progressive disease that very few people hear about until they, or someone they know, receive a diagnosis. This means that there may be many sufferers who have no idea that their issues stem from this condition. A French physician by the name of Prosper Meniere published an article in 1861 that detailed the symptoms of this disease. He theorized that there was one disorder underlying patients’ complaints, specifically the workings of the inner ear. It wasn’t until 1972 that the American Academy of Otolaryngology-Head and Neck Surgery Committee on Hearing and Equilibrium designated specific frameworks for a Meniere’s diagnosis. Classic Disorder: Irregular bouts of Vertigo that may include nausea and vomiting. Tinnitus. Some hearing loss. Particularly at low frequencies at first (this moves to higher frequencies as well over time). Sense of pressure in one ear (very rarely both). Vestibular Meniere’s: Vertigo onset mirroring those of the Classic disorder. However, these individuals do not experience tinnitus or hearing loss. Bilateral Meniere’s: Vertigo episodes re-occur coupled with hearing loss in both ears. Note that this may not happen immediately. About 75% of Meniere’s patients experience bilateral hearing loss about 5 years after the initial onset. Realistically Meniere’s can affect people of any age. However it appears most frequently in adults between the ages of 20 and 60 (with 40-50 being the median). New Diagnosis for Menier’s tallies about 45,00 new cases annually. Overall, those suffering from Meniere’s represent .2% of the population. Blood vessel constriction similar to those in migraine patients. Generally researchers lean toward the idea that Meniere’s has more than one cause. What’s most important for you to know is that Meniere’s didn’t appear because of something you did wrong. It’s a very real condition, and one that you can work on with the help of trained physicians. Vertigo (dizziness) episodes that last between 20 minutes and 24 hours each. There is no loss of consciousness but eye movements in one direction, then fixing on another occurs (this is called Vestibular Nystagmus). Nausea and vomiting may follow. Ringing in the ears (Tinnitus). This symptom often increases in severity just prior to Vertigo, then reduces again afterward. Inconsistency: Meniere’s comes and goes; gets worse and sometimes and then seems to get better. An Ear, Nose and Throat doctor (Otolaryngologist) is usually the point person for Meniere’s Disease diagnosis because patients come there with chronic symptoms their Primary Physician cannot alleviate. The doctor review details of your medical history to date and ask questions about your experiences. They measure that information against the common criteria for diagnosing Meniere’s. At the end of what may have seemed like a triathlon run from provider to provider, a prognosis of Meniere’s may come forward. The difficult part here is Meniere’s is incurable, but it does have degrees of severity. Once you know what you’re dealing with, you can move on to treatment approaches and therapies that could improve your daily quality of life. If you know a little about the things that may trigger a Meniere’s attack, you can try to avoid them. There are basically three influences that may set off your Vertigo. Movement: Getting up quickly. Tilting your head at various angles (especially backward). Bending over and turning your head too quickly can get you spinning. Remember to stand up and turn slowly. Bend at the knees rather than reaching downward. Consider getting a hand-held shower head for rinsing your hair. Environment: The weather makes a sudden change and you feel like you’re in the center of a whirlwind. Trees blossom, you start sneezing and feeling dizzy thanks to the increased histamine being produced by your body as a natural reaction to allergies. You’re cleaning your house and a particular aroma (often chemical in nature) spins you around. 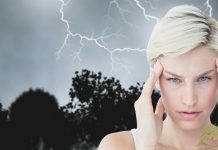 Like migraine sufferers, intense bright light (especially flashes) starts your Vertigo. You can’t do much about the weather, but an antihistamine for your allergies won’t hurt. In fact, these are sometimes prescribed for Meniere’s patients as a way of moderating ear fluid. With household cleaning agents, make note of what bothers you and try switching to a “green” alternative. In terms of lighting, have a pair of shades wherever you go. If the light is too bright – put them on. Tell friends and family that you may not be up for those long-term photo shoots on the holidays. Lifestyle Changes: Everything you do in your life affects your body. If you smoke, now is a great time to quit. The smoke may make your ear issues worse. If you use recreational drugs, these could have an impact on your current treatments as well as undermine your immune system. Those with a stressful lifestyle would do well to take up something relaxing be it yoga, slow walks outdoors, meditation or breathing techniques. Anxiety sets off, or contributes, to a lot of conditions (like high blood pressure), and it could impact your Meniere’s too. And stay away from those processed foods no matter how much you crave a drive-thru cheeseburger. As mentioned previously, there is no cure for Meniere’s disease. There are, however, some treatments that your physician may recommend. Not all approaches work for all people so you might have to try several before hitting on one or more that really help you. Motion Sickness Examples: Antiver, Diazepam and Lorazepam (all three also help with nausea and vomiting). Diuretic Examples: Dyazide, Hydrochlorothiazide and Triamterene (for reducing inner ear fluid volume). A relatively simple helpmate for managing your Meniere’s is making changes in your diet. DO include plenty of fresh fruits and vegetables in your menu, especially dark greens. Hydrate frequently. AVOID: red wine, bananas, chocolate, caffeine, salt, yogurt, nuts, smoked meats, candy, soda pop, sugar substitutes like aspartame, MSG and jelly. You may be given an injection in order to alleviate Vertigo symptoms due to Meniere’s. One option is an antibiotic, but that has the potential of increasing hearing loss. The alternative is a steroid, corticosteroid, that carries no such risk. This option is relatively new on the scene. PPT has a special device that fits into your outer ear much like a hearing aid. Periodically the devise transports a pulse of air pressure into the middle ear and potentially influencing inner-ear fluid levels. Vestibular Rehabilitation Therapy (VRT): This is an activity-based therapy designed to help people improve gaze stability and reduce vertigo. This is sometimes recommended to Meniere’s sufferers who continue having balance problems in between full-on Vertigo attacks. Some people with Meniere’s turn to approaches like acupressure, acupuncture and herbal blends hoping for relief. Please tell your physician if you want to try any of these in order to makes sure the alternative won’t impact your current plan of care negatively. While this does nothing for your body, it does support your mental wellness. Meniere’s can be difficult to face. 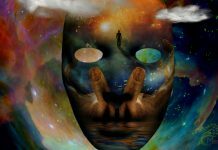 Many sufferers become depressed and anxious, not knowing when the next attack will come. They also worry about their safety when driving or working (with good cause). Finding effective coping mechanisms can reduce some of your stress. Better still, it is wholly confidential, and you can share things in this setting that you might not with loved ones. Labyrinthectomy: removing a portion of the inner ear. Vestibular Nerve Section: Cutting the Vestibular nerve. Endolymphatic Sac Decompression: Remove a bone portion from the membranes in the inner ear located partially in the temporal bone. Note that Surgery for Meniere’s is only recommended when more conservative methods fail and the patient has a disabling form of the condition. The progression of Meniere’s disease varies by individual. Some experience very slow changes, while others develop increasing problems quickly. Sometimes Meniere’s goes into remission for months or yeas at a time. You get dizzy for no apparent reason. That feeling comes on quickly and lasts for between 20 minutes and a full day. While the Vertigo continues, your hearing seems “off”, but it returns to normal afterward. Your ears might ring or feel like you have “swimmer’s ear”. At this point you still get dizzy without warning but it doesn’t seem quite as bad. Meanwhile the ringing in your ears gets more incessant and hearing loss increases. Some people have periods during which symptoms disappear temporarily for a while. Vertigo decreases more or disappears altogether. Some balance issues remain particularly in the dark. Tinnitus and hearing loss worsening continues. Good News: Some people with Meniere’s get better with little medical intervention. About 2/3 of the patients find improved control for their condition by changing their diet, taking medication or using devices like the Pressure Pulse Treatment. Driving dangers (some countries dis-allow Meniere’s patients from driving until a physician confirms that symptoms are under control. Falling anywhere at anytime (some people use a medical alert system because of this possibility). Just from looking at the complications Meniere’s causes its easy to see how having this condition may qualify as a viable disability. The hazards of certain work environments for a Meniere’s patient are palatable. As a result, it is one of the diseases that the Social Security Administration lists as potentially qualifying for Social Security Disability. There is little in terms of physical labor that Meniere’s Vertigo does not have the possibility of affecting. Just walking from one room to another can be dangerous if an episode occurs (even more so if you work on hard surfaces). This risk effects Workman’s Compensation considerations. So it’s smarter and safer for both you and your employer to look into disability benefits. Hearing loss can also hinder work performance. If you cannot hear your co-workers, or your superior’s instructions clearly the probability of mistakes increases. So here we return to the ideas of severity and safety. Sedentary jobs may offer better options for Meniere’s Disease, especially people who have their symptoms fairly well managed. Sedentary work involves sitting for about six hours daily. Sitting still may certainly decrease your risk of falling from Vertigo spells. However, the associated lightheartedness, nausea and dizziness leaves many feeling temporarily confused and unfocused (kind of a brain fog). Both impact job performance in both short term and long term situations. Add to that hearing loss in a job that has phone responsibilities and you still have some hurtles in the way of your professional success. You can read 101 descriptions of a Meniere’s Disease diagnosis and treatments, but that really doesn’t help on a personal level. Where do you go from here? Self education is very important. However, be careful in your research. There is a lot of conflicting information about Meniere’s on the internet. Some sites are down-right terrible and terrifying. So, look to organizations that focus wholly on Meniere’s Disease, causes, treatments, support groups, etc. These sites typically have an “ORG” extension for their URL. You can also consider “EDU” sites, but some of these can be a little too complicated for the average, non-medically educated reader (scientific papers are even worse!). If your physician can recommend any sources, by all means look them up too. Next is the question of a doctor. Your primary physician isn’t probably prepared to give you all the help you need. Like any condition, having the right doctor is essential. You will want to interview several specialists. When you do, make a mental note of how they communicate (Helpful? Dry? Condescending?). Also watch consider how well they react to (and respond to) your questions. If you leave more confused than when you arrived, or less hopeful, you’re probably in the wrong place. After finding that great doctor, start making small lifestyle changes that many recommend for contending with Meniere’s. Keep a journal that tracks the date, time, duration and severity of your episode. Along with this note what you ate beforehand, how you slept the night before, any weather changes and other environmental notes. These notes give you clues to personal triggers for your Vertigo so you can avoid them. Just like people with chronic pain or depressions, Meniere’s Disease isn’t visible (unless someone sees you fall down!). This may lead some sufferers into isolation, feeling that no one can understand, or being scared of an attack. This is why it’s vital to involve and educate your family, friends and human resources at work. These, along with good counselors, are all great supports. Don’t be afraid to reach out and use them!